Melancholy? For some reason this photo makes me sad. 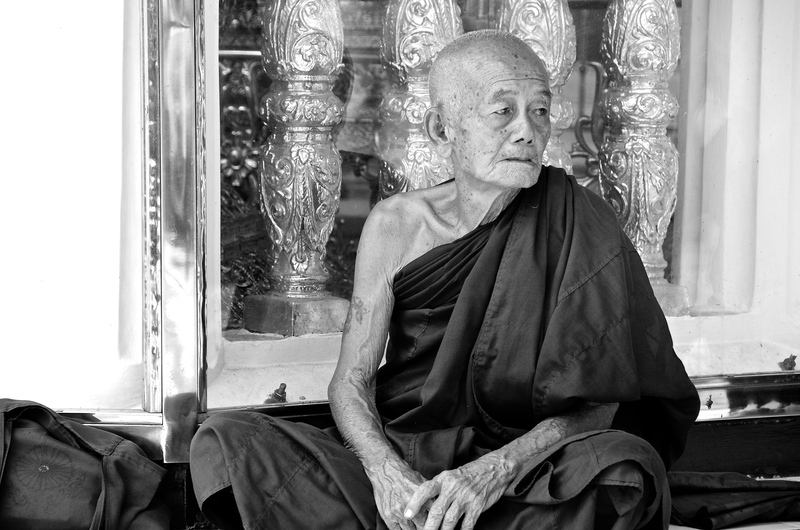 This captivating monk seemed deep in thought when I took the photo and now looking back it pulls at my heart strings. What do you think? Yangon, formally known as Rangoon, Myanmar, formally known as Burma. This entry was posted in Burma, Myanmar, Photo of the Day 2014 and tagged Burma, Monk, Myanmar, Photo of the Day, Photography, Rangoon, Travel, Yangon on May 17, 2014 by Bill and Paige.